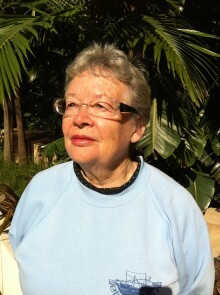 Bonnie S. McDougall is Honorary Associate in Chinese Studies at the University of Sydney and Professor Emeritus at the University of Edinburgh. She has also taught at Harvard University, the University of Oslo, the Chinese University of Hong Kong and the City University of Hong Kong, and has spent long periods in teaching, translating, and research in China. She has written extensively on modern Chinese literature and translated poetry, fiction, drama, letters, essays, and film scripts. At present she is a panel member for the Australian Academy of the Humanities Translation Medal and panel chair of the NSW Premier’s Prize for Translation.